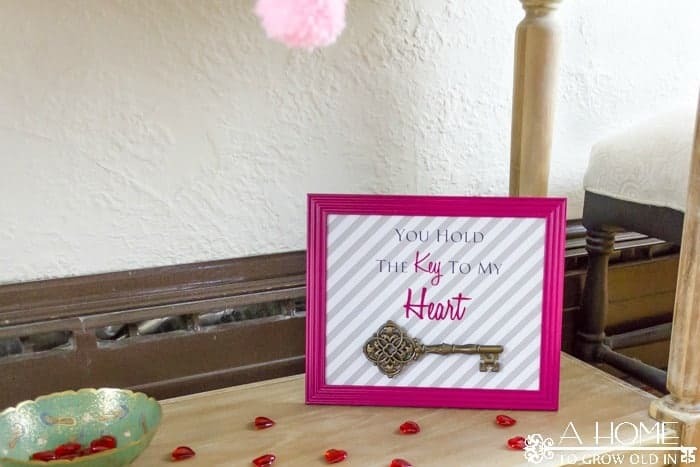 This “You Hold the Key to My Heart” sign is an easy, quick and inexpensive way to add Valentine’s Day decorations to your home. Hi There! It’s a cold and snowy morning in New England as I write this, and it’s supposed to get much colder. They are predicting some crazy cold weather here for Valentine’s Day. Like -10 degrees F cold! As a southern girl, my jaw just drops when I hear something like that. I’m not sure if I’ll ever get used to it, but my kids sure are having a blast playing in the snow! 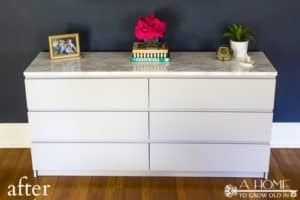 I’m sharing my last post from my easy Valentine’s projects series, and this one is truly easy and costs almost nothing to make. 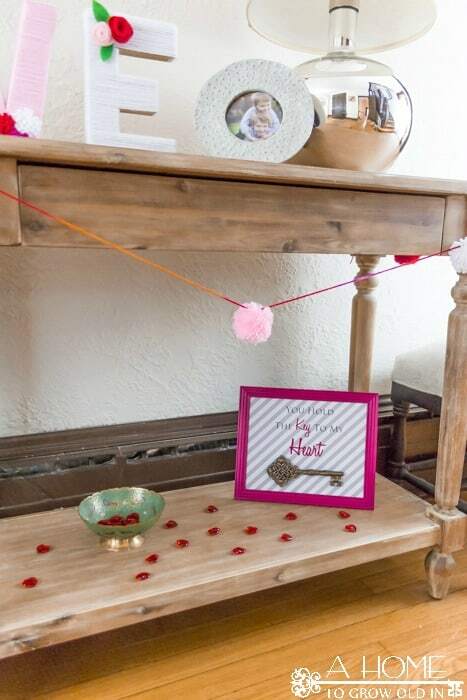 It’s the “You Hold the Key to My Heart” sign that I have displayed on my entry table. 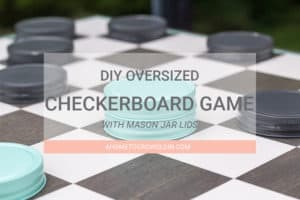 For supplies, I found an 8 x 10 picture frame at the dollar store. I bought one with the widest outer frame they had so that it would look a little more substantial. I also found these great resin keys at Michael’s (they were in the center seasonal aisle), and I picked up a piece of scrapbook paper while I was there as well. My first step was to remove the glass and backing and give this black frame a little color. I did not use the glass from the frame at all in this project. I gave it a quick spray of Rust-oleum Painter’s Touch in Satin Magenta that I had on hand. Looking through my spray paint collection for the right color got me thinking…we should hold a contest amongst all of the crafty readers out there to see who has the most cans of spray paint. Even though I feel like I have a ton, I bet many of you have so much more. It’s an addiction! 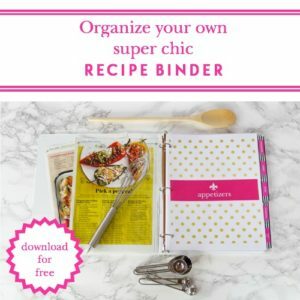 I used some double-sided tape to adhere my scrapbook paper onto the picture frame backing. Next, I cut the words “You Hold the Key to my Heart” out with vinyl using my Silhouette. 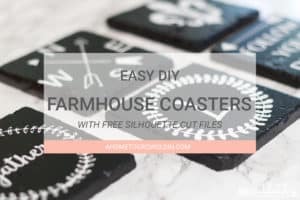 If you don’t have a Silhouette, you could download some free digital background paper, and use some fun fonts in either Picmonkey or Word to print out. There are so many awesome free digital backgrounds, but this damask and watercolor are a couple of my favorites. The key had a little loop on the top with a ribbon for hanging. I cut the loop off the top since I did not hang it from the ribbon, and I used some hot glue to stick the key onto the paper. Once the frame was dry, I put the decorated backing back in and called it a day. 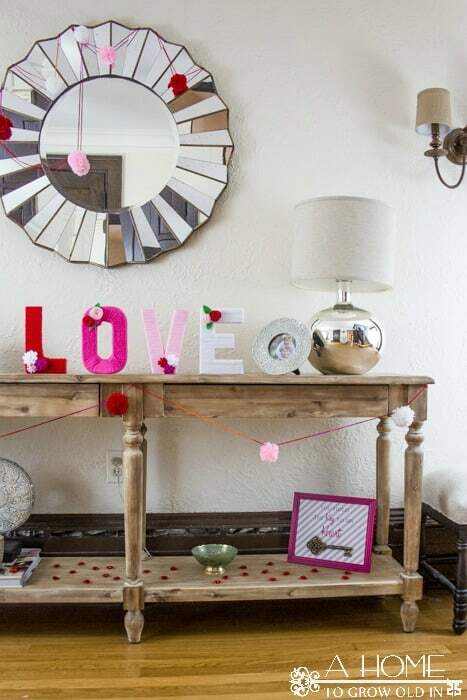 This ended up being a really fast and inexpensive Valentine’s Day decoration. 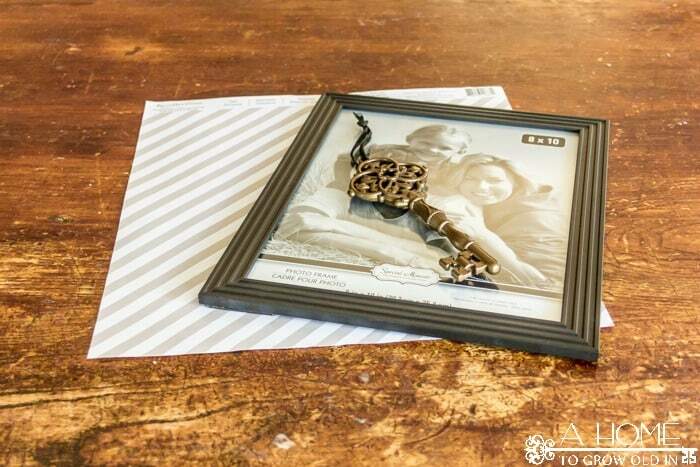 The frame was $1, the key $1.50, and the scrapbook paper $.59 for a total just over $3. It just goes to show that you can get some cute decorations with a little creativity and without spending a ton of money. So, how would you fare in a spray paint contest? How many cans of paint do you have on hand, and what’s your favorite color to use? Stay warm out there, and have a fantastic Valentine’s Day!